On Sunday, September 20, St. Mary Church of Hollywood, celebrated Armenian Independence Day. 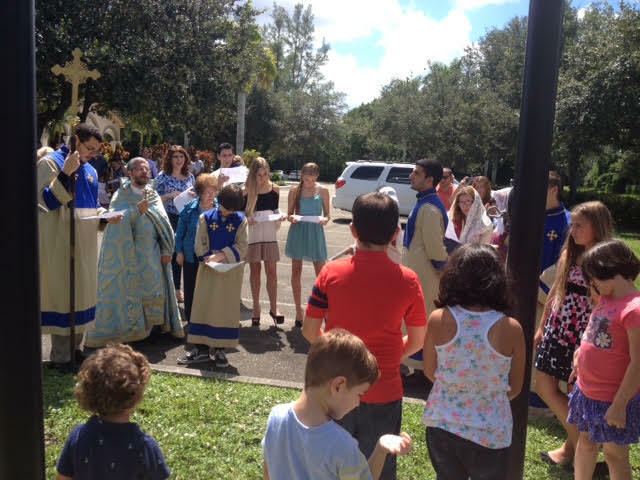 Following the Divine Liturgy, the Rev. Fr. 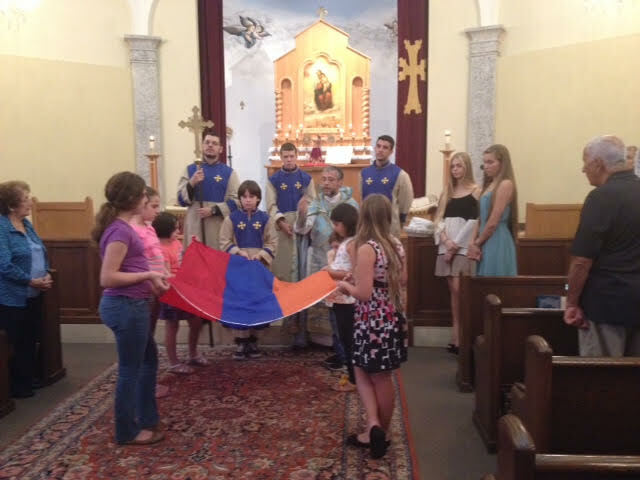 Vartan Joulfayan, parish pastor, blessed the Armenian flag, which was held up by parish Sunday School students. The students then carried the flag to the flagpole and raised it as they sang the national anthem. 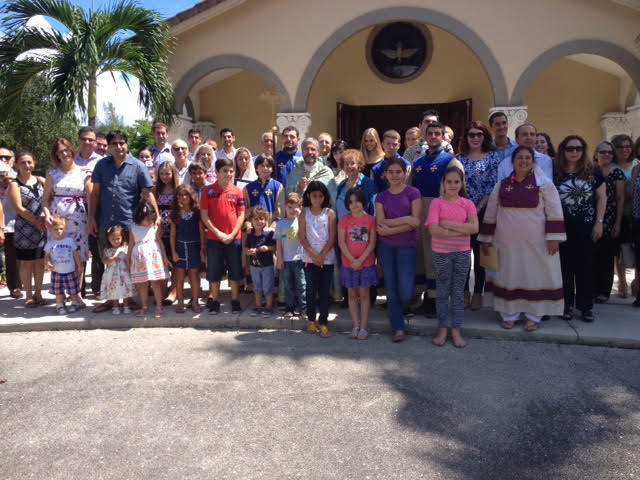 Later that afternoon the entire community enjoyed a picnic sponsored by the Sargsian family. 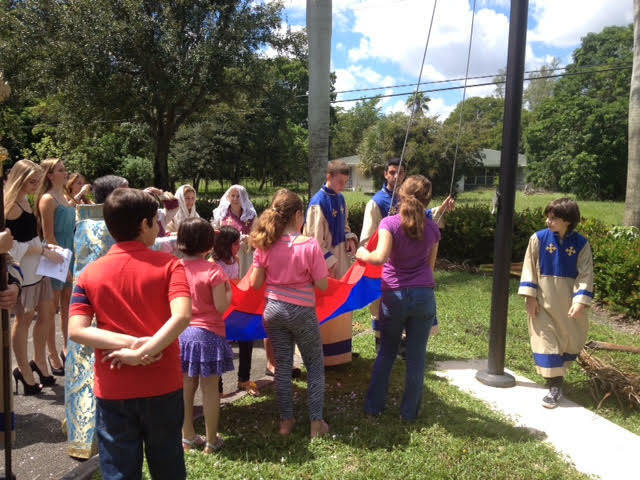 The day included Armenian khorovadz, music, and a raffle featuring souvenirs from Armenia. Posted on September 27, 2015, in Armenian Church, Events, General Update and tagged Armenia, Armenian Church, St. Mary. Bookmark the permalink. Leave a comment.